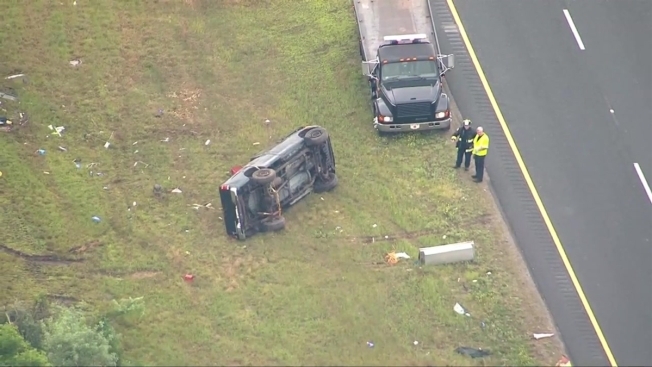 A man was killed Tuesday morning in a rollover crash on Interstate 495 south in Bridgewater, Massachusetts. A man was killed Tuesday morning after being ejected from a vehicle on Interstate 495 south in Bridgewater, Massachusetts, according to state police. The crash happened at about 6 a.m. at I-495 and Route 24. Police said the 66-year-old driver from Clearwater, Florida, was traveling by exit 7 when for some reason, he lost control and rolled over. The driver was ejected and the vehicle came to rest in the median. The victim, who has not yet been identified, was taken to Morton Hospital where he was pronounced dead.